All Posts Tagged With: "Ashley Greene"
Mark Brand Ambassador Ashley Greene at the “Breaking Dawn 2” Premiere in LA last night. Celebrity Makeup Artist Vanessa Scali shared with TM her techniques for creating Ashley’s stunning makeup look. Ashley Greene At the “Breaking Dawn 2” Premiere LA. Do you love? NEW YORK, Oct. 19, 2011– DKNY and DKNY Jeans have tapped Ashley Greene for an exclusive one-year agreement to represent the brands in its advertising campaigns. Ashley Greene, best known for her recurring role as Alice Cullen in the Twilight film series, will also serve as the brands’ ambassador. mark Brand Ambassador Ashley Greene made her mark during NYC Fashion Week SS 2011 at the L’Wren Scott fashion show. mark Celebrity Makeup Artist Mai Quynh shares with Marta Walsh her top tips for creating Ashley’s stunning makeup look. “To prep Ashley’s face, I began by applying mark For Goodness Face Antioxidant Skin Moisturizing Lotion SPF 30. 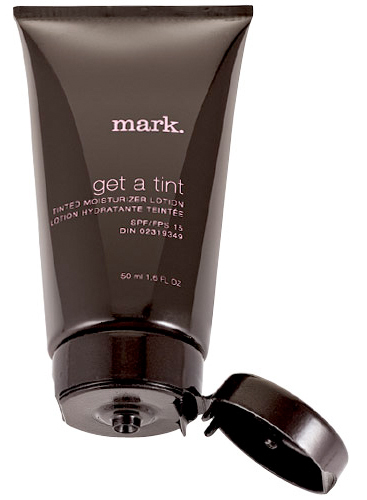 To create a smooth base, I followed by applying mark Primed for Perfection Face Primer on her freshly moisturized skin. Brand Ambassador Ashley Greene made her mark last night, September 12, 2010, at the 2010 MTV Video Music Awards in Los Angeles. Celebrity Makeup Artist Vanessa Scali shares her top tips for creating a look as gorgeous as Ashley’s with mark. ”Ashley has nearly flawless skin, so I used foundation and concealer sparingly. First, I used the mark Foundation Brush to apply mark Speedway Do Everything Makeup in Natural only where needed and blended in with my fingers. I find that using my fingers to blend foundation heats the product just a bit and leaves a seamless finish. 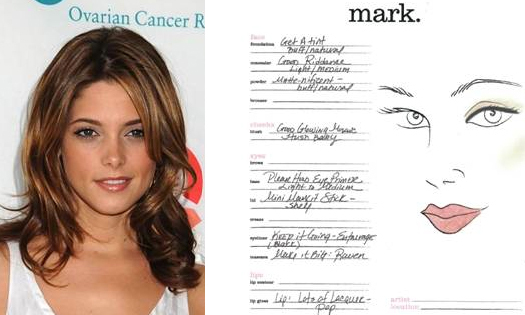 Get Ashley Greene’s Look with mark cosmetics: mark Brand Ambassador Ashley Greene and star of The Twilight Saga: Eclipse made her mark this weekend at the13th Annual Super Saturday event in New York. Twilight star Ashley Greene looks super fit on the cover of Women’s Health July/August 2010. Do You love? Ashley Greene is gracing the cover of SOS Magazine July issue 2010. Greene was photographed by Victor Demarchelier (father is famed Lensman Patrick). The Making of Miss Greene: She came to fame as Alice Cullen, Edward’s adorable “sister” in Twilight, but this year Ashley Greene is set to prove she’s so much more than a supporting actress. Francesca Babb spends 48 hours with Hollywood’s hottest new talent. The Twilight Sage: Eclipse premiered on June 30th, 2010, in the U.S.
mark Brand Ambassador Ashley Greene and star of The Twilight Saga made her mark on the “Jimmy Kimmel Live” Twilight Special titled, “Total Eclipse of the Heart.” Celebrity Makeup Artist Vanessa Scali shared with us her top makeup tricks for creating Ashley’s stunning look. “I began by blending mark Get a Tint Tinted Moisturizer Lotion SPF 15 in Buff/Natural all over Ashley’s face with the mark Foundation Brush to create a nice, even canvas.